Republiken Zoological Society is experimenting with different building systems and invite you to step into a world of light and geometric creatures. We are building with Polygo Play; a system of flat building pieces and Strawbees; a system of drinking straws coupled by connectors. What these building systems have in common is that they have been developed to create geometric sculptures. 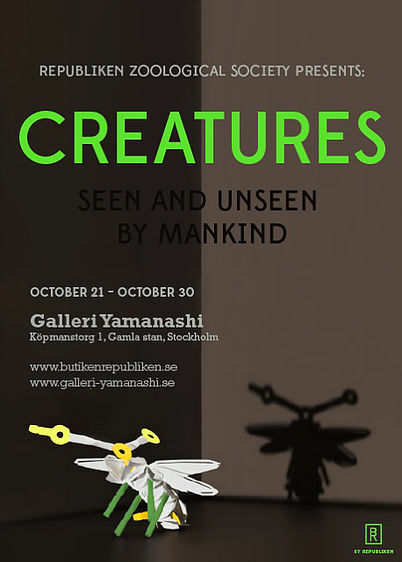 The aim with this exhibition was to explore a geometric fauna of creatures, seen and unseen by mankind possible to build when these two different building systems are bridged. We invited illustrators, designers and other creatives to build creatures with Polygo Play and Strawbees in a series of workshops. This resulted in a bunch of cute, strange, and fun looking sculptures. 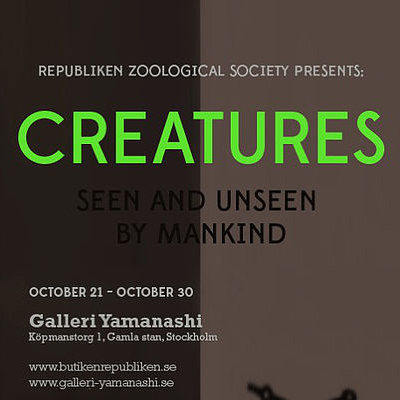 Republiken, not only a design studio, but now also a zoological society, have taken on the task to map out and name the(se) never before seen creatures by scientific names. Thus, we have explored the world of creatures, seen and unseen by mankind. You are very welcome to see these creatures exhibited in a landscape of geometric light sculptures.